Hey there! 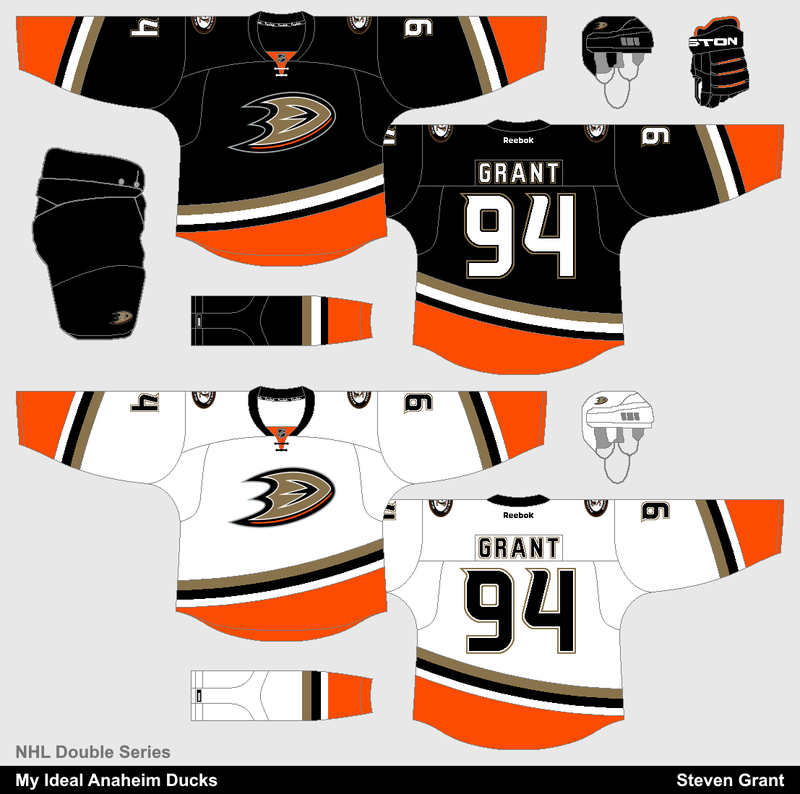 It's been a while (sorry about that), but I'm finally back with a new set of concepts for my NHL Double Series. This may be unpopular, but my ideal Ducks logo is their current primary (not the beloved Mighty Duck mask). I also went with their current number font and colour scheme, and then used a striping pattern which combines their different eras. I also wanted to try the Ducks in a double green and orange colour scheme, so that's what I did here. 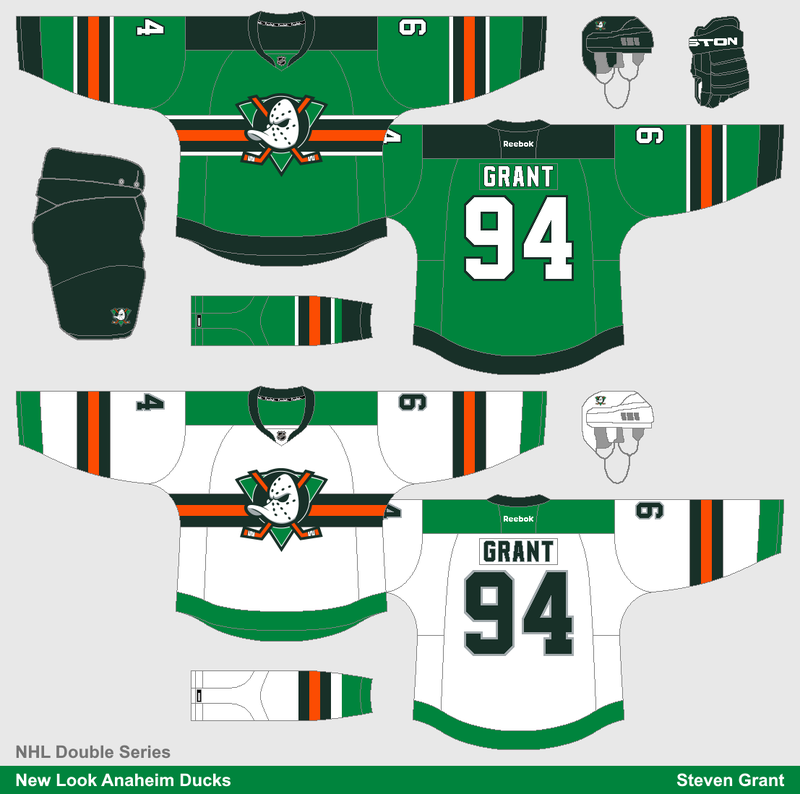 Their Mighty Duck logo returns as the primary logo, although it's now on top of a chest stripe (otherwise the green triangle blended into the green jersey too much). Thanks for visiting, and have a happy NHL-jersey-unveiling-day tomorrow! Did QC Mallards prompt those shades of green or just random (if not what did)? Back of the green one seems plain, but I feel the set in general. Wasn't intentionally based off of the Mallards. Light green is the Canucks shade of green (off of ColorWerx), dark green is from the Green Bay Packers and/or New York Jets.